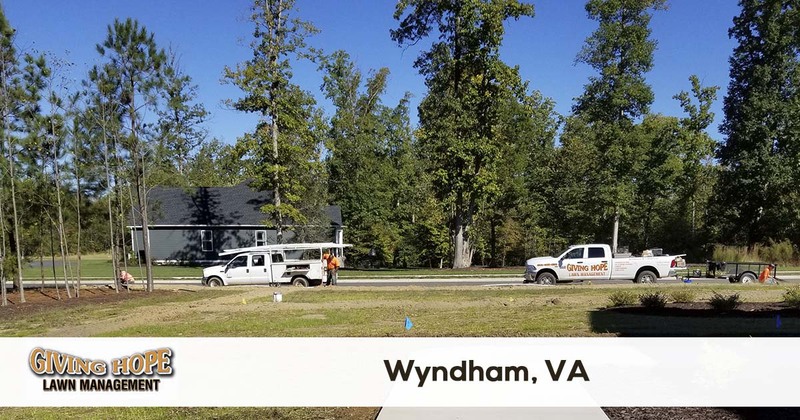 Giving Hope Lawn Management is proud to serve the community of Wyndham with professional lawn care and landscaping services. For more information or to get a free quote call us today at 804-839-8340. Despite all the historic communities in the state, some areas are far newer than others. Take, for instance, the city of Wyndham, VA. That community wasn’t always there, and it’s still a relatively new space compared to the surrounding towns, cities, and villages. But that doesn’t mean finding your ideal service provider is always a simple process. Finding a local Wyndham lawn care company that you can depend on is no small feat. Chances are, you’re spending too much on landscaping services that just don’t achieve the results you need. That’s why, for better lawn care options you can afford, you need Giving Hope Lawn Management. Since 2011, we’ve provided nothing but the best in complete landscaping services. Call now for your best lawn care professionals. We promise better results and lower pricing every day! Too many service providers limit that amount of landscaping options that you can select. You may find that you’re forced to call in a separate team for specific options! But rather than spending a fortune on multiple contractors, you can save more by hiring us. We handle all your landscaping concerns, from better lawn irrigation systems to affordable monthly maintenance. No matter what your home’s yards or your business’ outdoor areas look like, we have the perfect solution each time. Call us to save a ton on your best lawn care services! If typical landscaping services just aren’t achieving the results you need, then it’s time to call us. Hire us today for your best option in complete landscaping options! Giving Hope Lawn Management is the industry leader for lawn care and landscaping in Wyndham. We offer a 100% satisfaction guarantee with all of our services, so there is no risk for you to give us a try. Give us a call today for the fastest service at 804-839-8340.